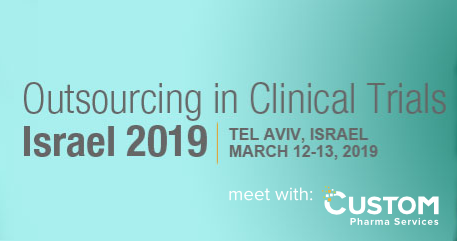 Custom will be attending Israel’s clinical outsourcing platform for biotech, pharmaceutical and medical device companies. We look forward to meeting with senior representative within the Life Sciences industry, to discuss opportunities post-Brexit. Use the form on this page to pre-arrange a meeting in the beautiful city of Tel Aviv. To prepare for our meeting, you may find it helpful to get an overview of our services – available in both Hebrew and in Arabic – on this page.